We didn't really like the handles on offer in the showroom when we were making our selections. We decided to change the handles after handover. In the kitchen we are going to have cup pulls on the draws and knobs on the doors. As they don't have anything like it in the show room, we are not having any handles put on at all in the kitchen and will nervously put them on ourselves after handover. 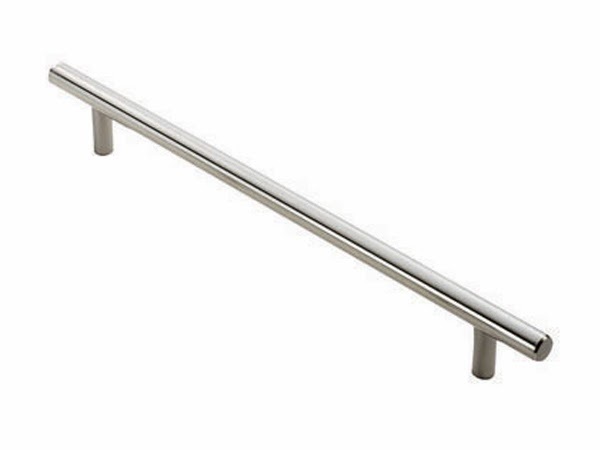 I had in mind something long for the bathrooms so we requested the longest handles in the standard range for both bathrooms. The really ugly D handle. Just before Christmas I decided that I'd better order the handles to replace the ones we were having put on. I discovered that the handle we selected that is provided by Laminex is not a standard size. 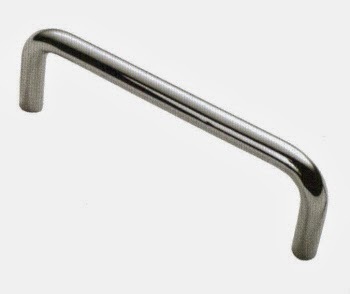 And there is really only one other handle in the same size as this. 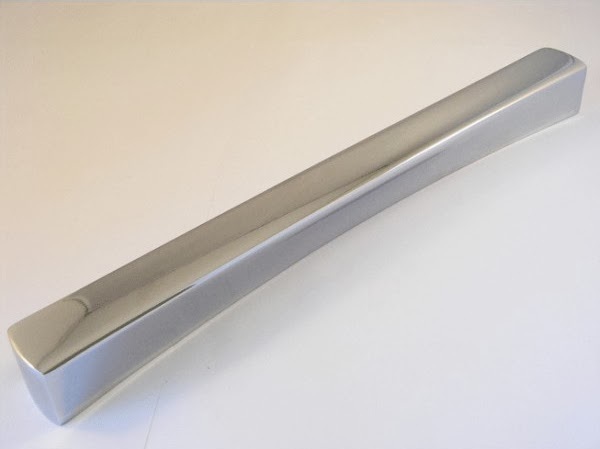 The t-bar handle. Although it's much nicer than the D handle, it's not what I was envisaging. Our Site Supervisor is on holidays still so she contacted whoever it was who is filling in for him to find out if the handles were put on, they took some photos so we can see. 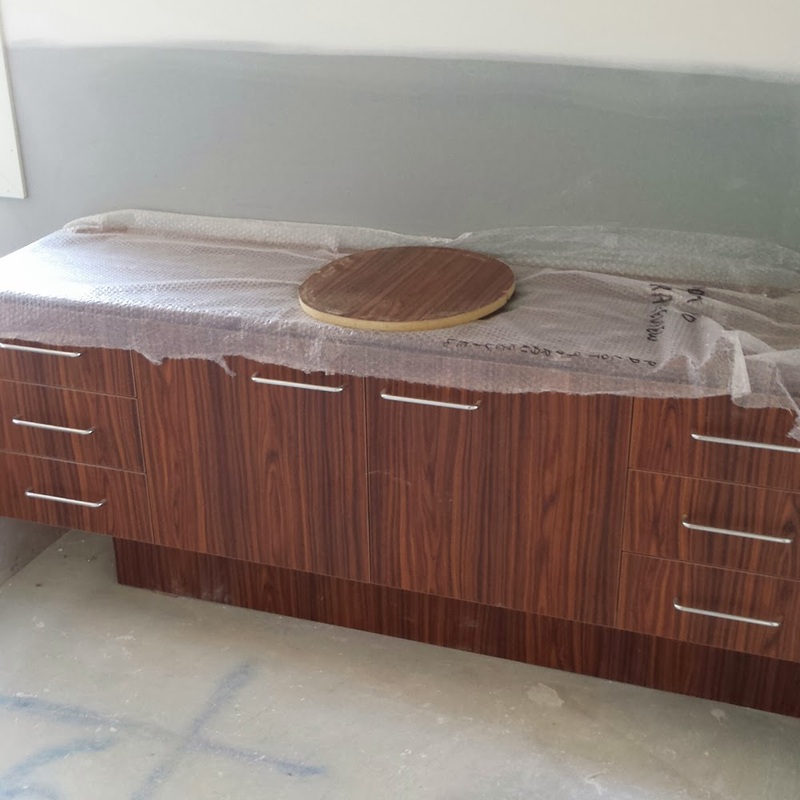 Yep, there's handles on them there cabinets. Really happy with the handle size. Might look at something a fraction longer that will also hide the original holes.